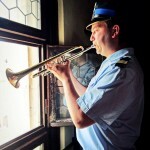 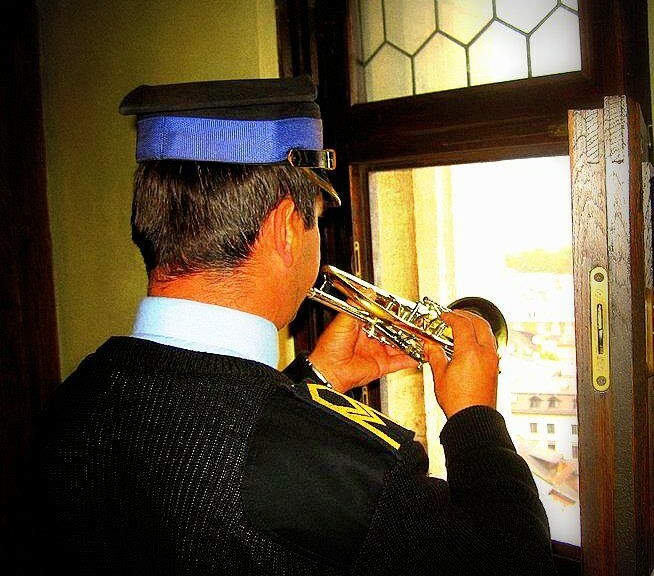 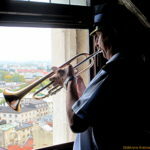 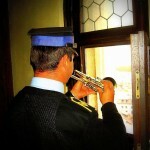 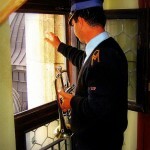 Today we are still not leaving the Bugle tower. 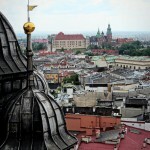 We will tell you something about the building where we are. 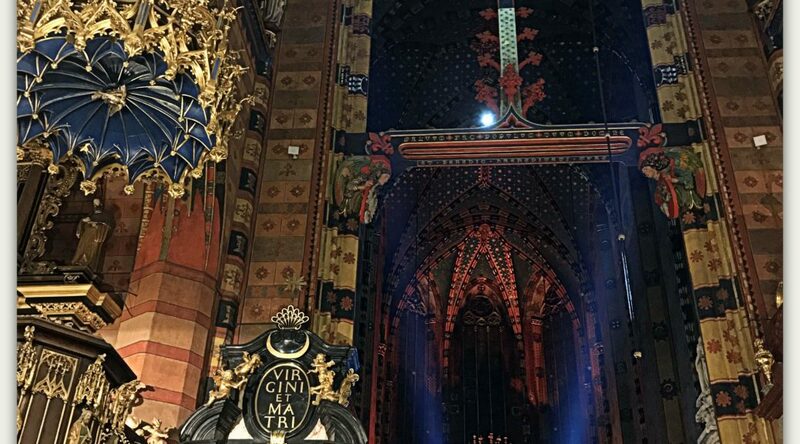 St. Mary’s Church (Basilica) is one of the largest and most important churches in Krakow – the second one just course after the Wawel Cathedral. 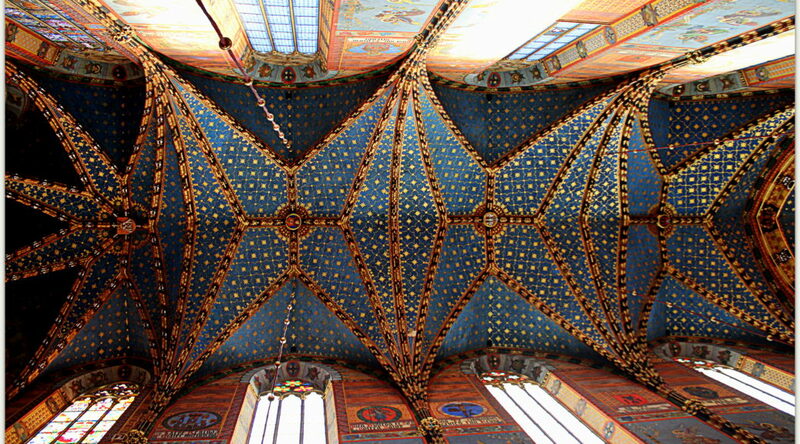 It is not only a church but also the basilica since 1963. 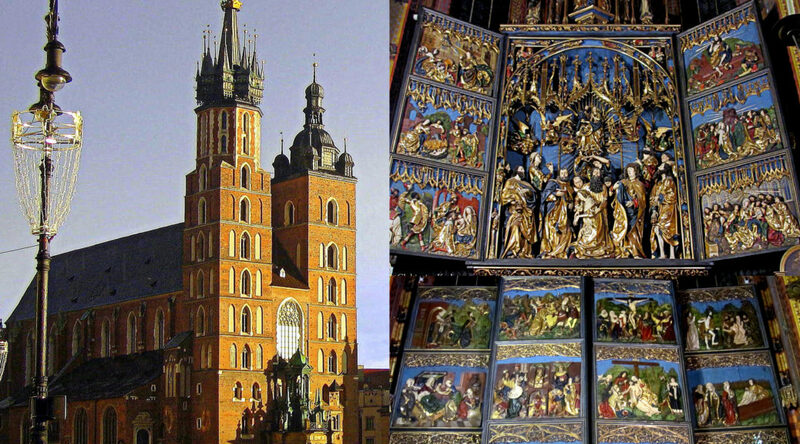 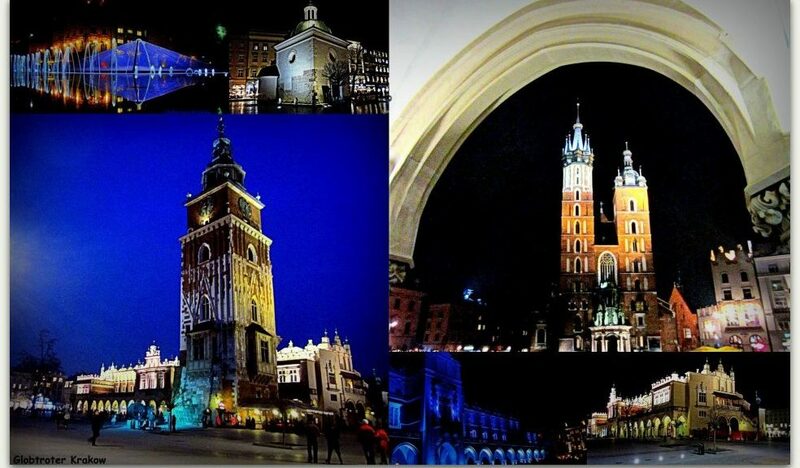 It belongs to the list of the most famous and very well-recognized historical places in Poland. 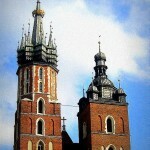 It is located at the north-east corner of the Main Market Square. 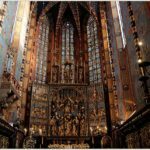 According to Polisch well-known chronicler Jan Dlugosz the church was founded by the Bishop of Krakow – Iwon Odrowaz – in the years 1221-1222. 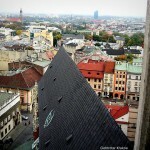 In the years 1290-1300 the new church in Early-Gothic was built partly on the existing foundations. 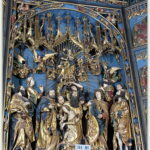 It was dedicated in 1320. 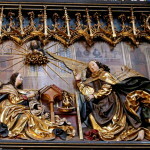 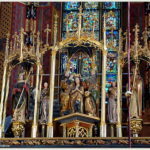 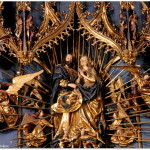 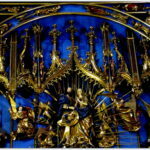 The most valuable monument of St. Mary’s Church is the High Altar, the most outstanding and best preserved work of late Gothic sculpture in this part of Europe. 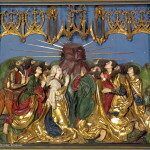 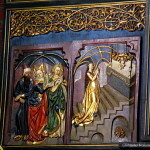 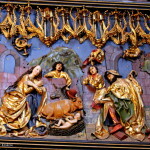 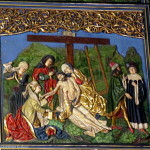 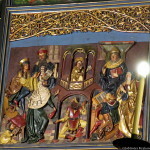 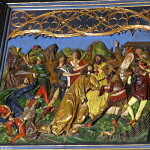 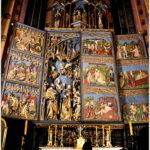 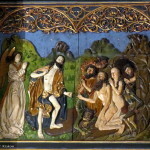 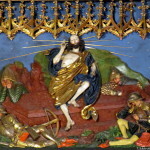 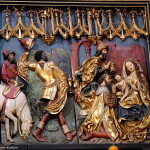 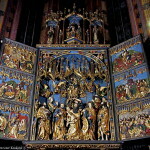 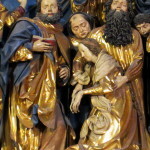 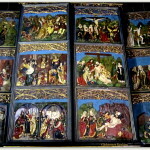 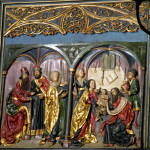 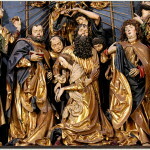 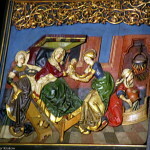 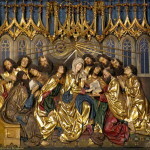 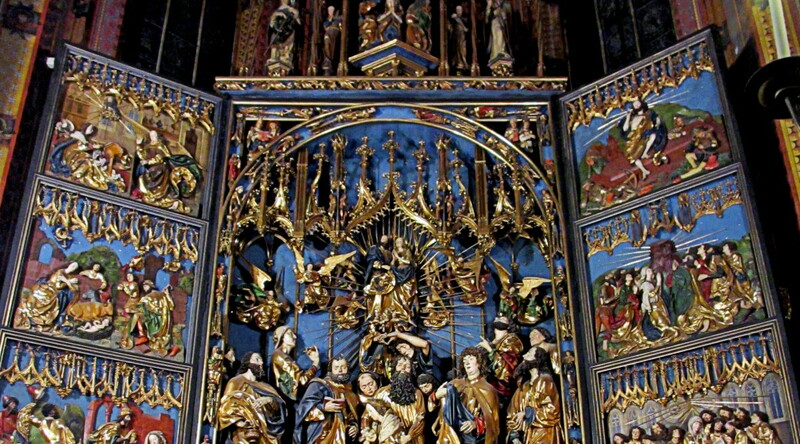 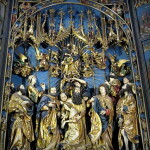 When in the first half of the fifteenth century the first altar collapsed , municipal councilors decided to order a new one from the Nuremberg sculptor Wit Stwosz. 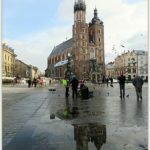 Master arrived to Krakow, and for his work received a generous salary, worth at least the equivalent of an annual budget of the city. 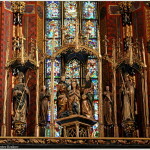 If you click here the beautiful Altar will open for you…and don’t forget to pan up..